In 1996, Bangladesh celebrates its 25th anniversary. When the country became independent from Pakistan in 1971, it proclaimed itself a parliamentary democracy with four goals?democracy, secularism, socialism, and nationalism. 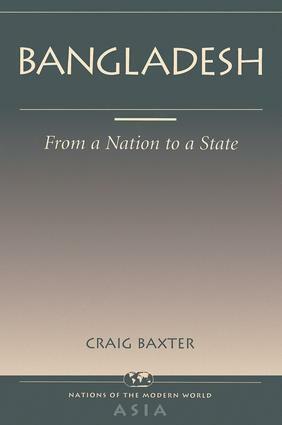 This comprehensive introduction to Bangladesh's history, polity, economy, and society reassesses its successes and failures in reaching these goals after a quarter century of nationhood.Craig Baxter traces the development of national identity in the region, first as part of India and then of Pakistan, and the slow evolution toward statehood. He also explores the formative periods of Hindu, Buddhist, Muslim, and British government that preceded Pakistani rule and subsequent independence. Anyone wishing to understand this poor, populous, but ambitious young nation will find this book an invaluable reference.